Shirts With Random Triangles: Penn State's James Franklin photobombed by a T-Rex. 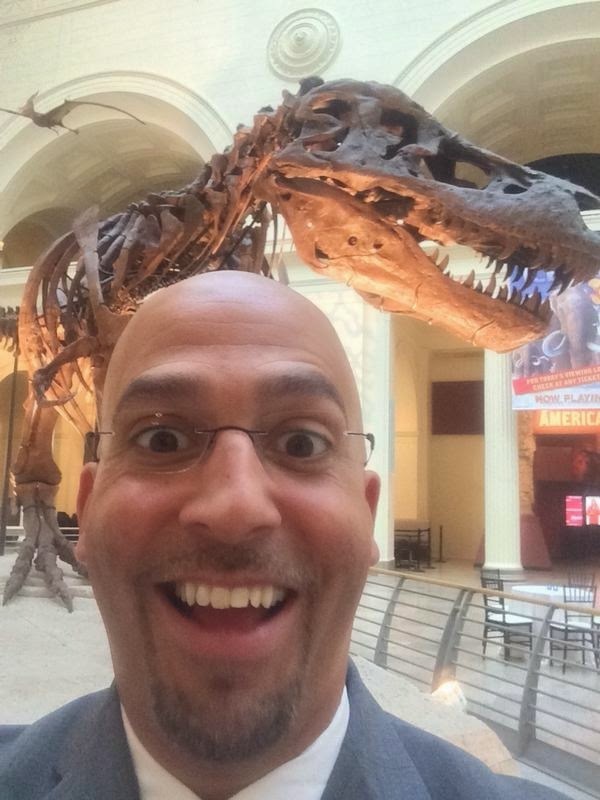 Penn State's James Franklin photobombed by a T-Rex. James Franklin and his new friend. Penn State head coach James Franklin is enjoying himself in Chicago, where he is attending SEC Media Days. He took time from the goings on at the Hilton Chicago to head over to the Field Museum, where he took this selfie of himself being photobombed Sue, the museum's Tyrannosaurus Rex skeleton. Insert your own Joe Paterno joke here. I know you're making them right now. Just know there are some things you won't see in Hoover, Al during SEC Media days.